Top ten groups of Christians I tend to avoid. Hey, I admit it, some people really bug me. I bet you have people who bug you too. You know the type I mean? They are the people you see in the grocery store that send you into spy mode stealthily trying to keep from being spotted. It’s the people you see coming at you in the hall that make you turn and look busy or go into the cellphone rescue mode where you pretend to be on a call. With that said, I now present you with my top ten list of Christians I tend to avoid. 9 – Legalists. Their checklists scare me because I’m pretty sure that it will only be a matter of time until I don’t measure up. I guess the good thing is that most of them gave up my blog pretty quickly. I frustrate them. 8 – Scaredy cats. Harry Potter is out to get them, Twilight is the end of the world and satan is winning. Heck, the devil is even into Pokeman. These seperatists have a giant list of things that they flee. They expect me to flee them just as hard. God has not given us a spirit of fear, right? 7 – The prayer gossipers. They’re always pointing out what’s wrong with others with a tastey morsel to share. “Hey, pray for Marge and Jim. That’s all I can say. Just pray for them.” Marge and Jim might be trying to decide what color to paint the kitchen but we all leave the meeting thinking they are on the brink of divorce, have been unfaithful or are facing terminal cancer. 6 – Political campaigners. Regardless of the decisions of leadership or the majority vote of the congregation, depending on the style of church government, campaigners work tirelessly to get people to join them in their agenda. They organize meetings, send out emails and pull people aside in every corner of the church. Sometimes, like Barnabas, you just have to head out and find where the Lord wants you. 4 – One-uppers. Whatever I have done, they’ve always done something better. Have you seen Penelope on SNL? Humility? Nah. 3 – Name droppers. Does anyone really care who they know? Do they really have to send out Twitter updates about every appointment? Lift up the name of Jesus. By the way, did I mention that Rick Warren is one of my Twitter followers and that I’m going to chat it up with Francis Chan in April? Um, so what? 2 – Super spooks. This is a tough one to describe. These guys say they are “Spirit-filled,” seeking “Spirit-filled” friends, in “Spirit-filled” churches where they are encouraged to live a “Spirit-filled” life. It’s the tone that says, “Hey, let’s just admit that I’m a bit higher on the spiritual plane than you are.” They are so Holy Ghost focused that they seem to forget about Jesus and what He calls us to do. I want to continuously be filled with the Spirit but I don’t want to flaunt it. 1 – Theology buffs. Sipping their Starbucks Mocha Gagga Latte, they love discussing Pelagianism, eschatology, ecclesiology, theophany, Calvinism and armenianism and a littany of terms making me almost wish I memorized that giant glossary of terms I bought for my systematic theology classes in seminary. Have you ever noticed how Jesus used common, everyday language? I love talking about the mysteries of God but I always want t0 work hard to lose the jargon. After saying all that, I know I’m number one on the top of the list for a whole bunch of people. I guess that’s why we are told to “put on love” like a sweater and bear with one another in love. We all annoy each other in one way or another. I gotta throw my top ten list away. This entry was posted in Christianity, Find God, gospel, Jesus, leadership, legalism, love, religion, Uncategorized and tagged annoying Christians, bear with one another, complaining, legalist, theology, top ten. Bookmark the permalink. 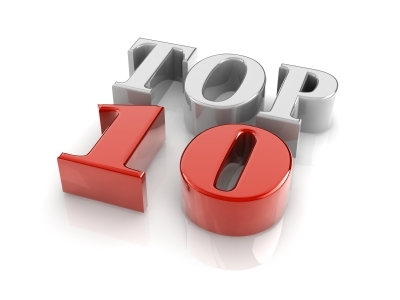 3 Responses to Top ten groups of Christians I tend to avoid. Thanks for not running too quickly from me.